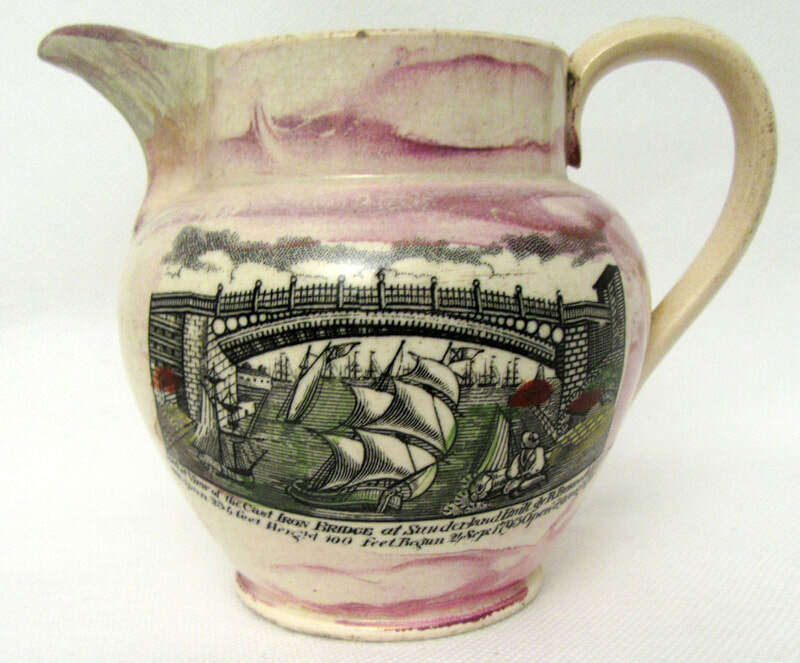 The jug below, from the Sunderland Museum collection, is catalogued as Seaham. 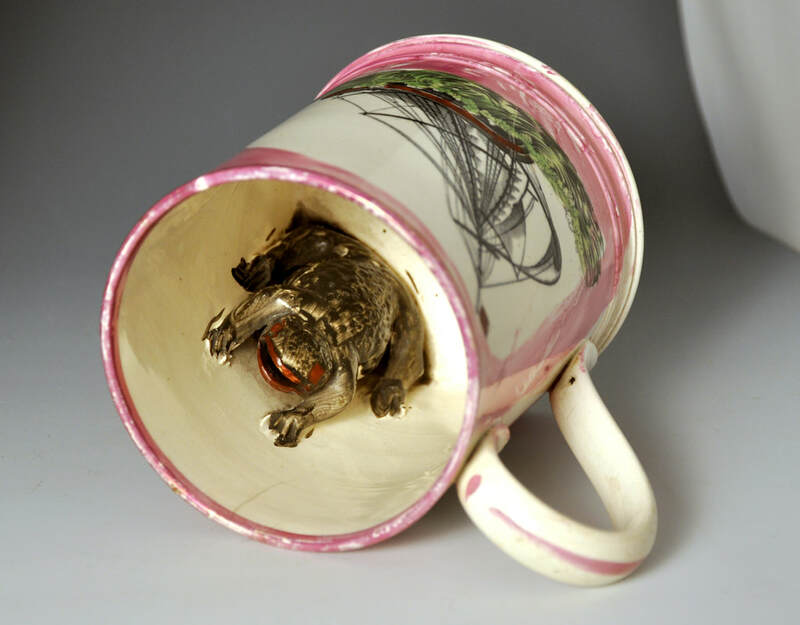 However, I am unsure on what basis. 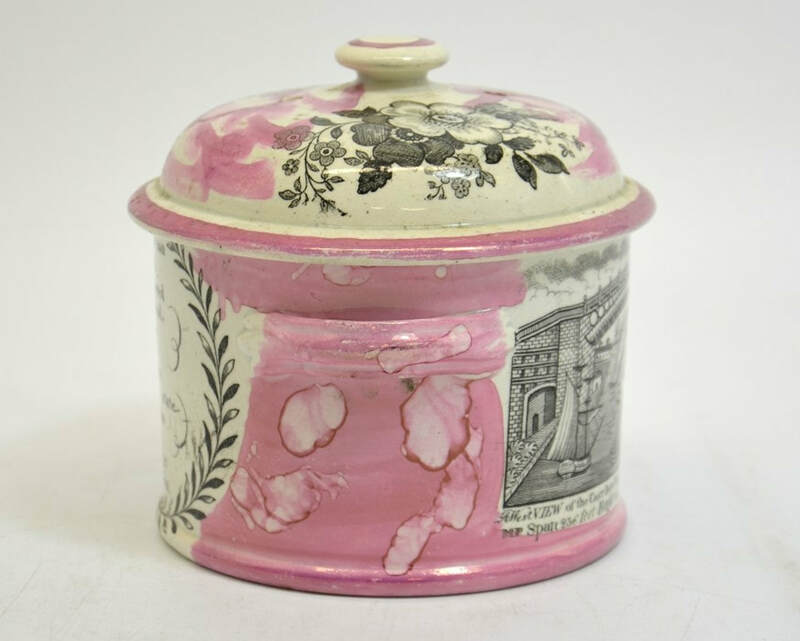 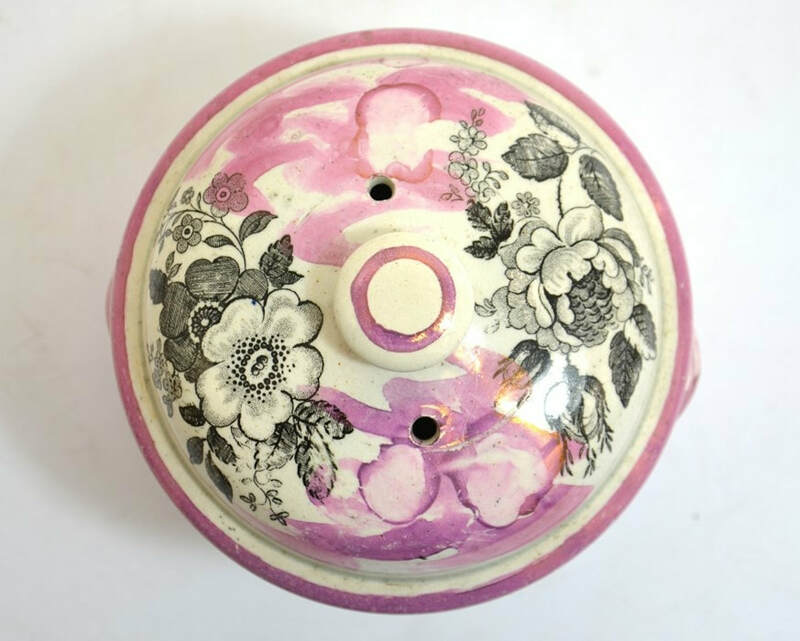 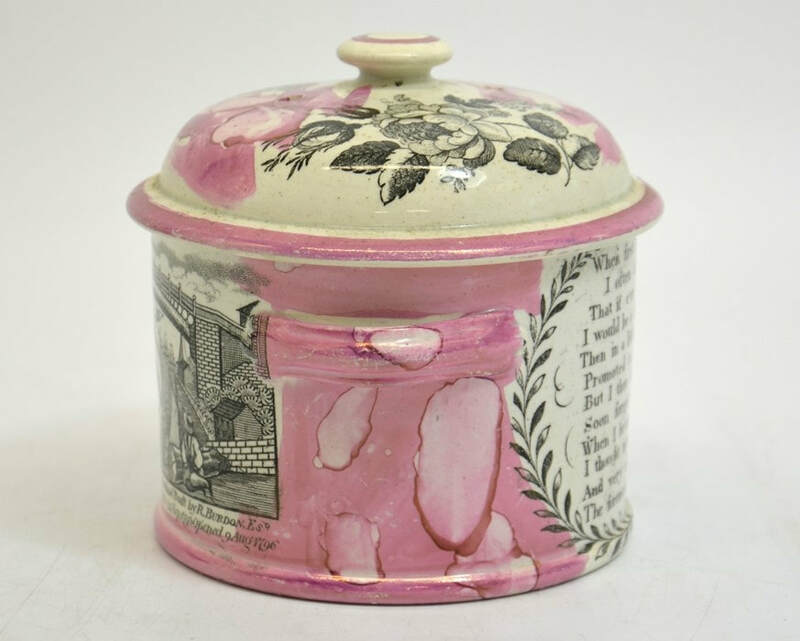 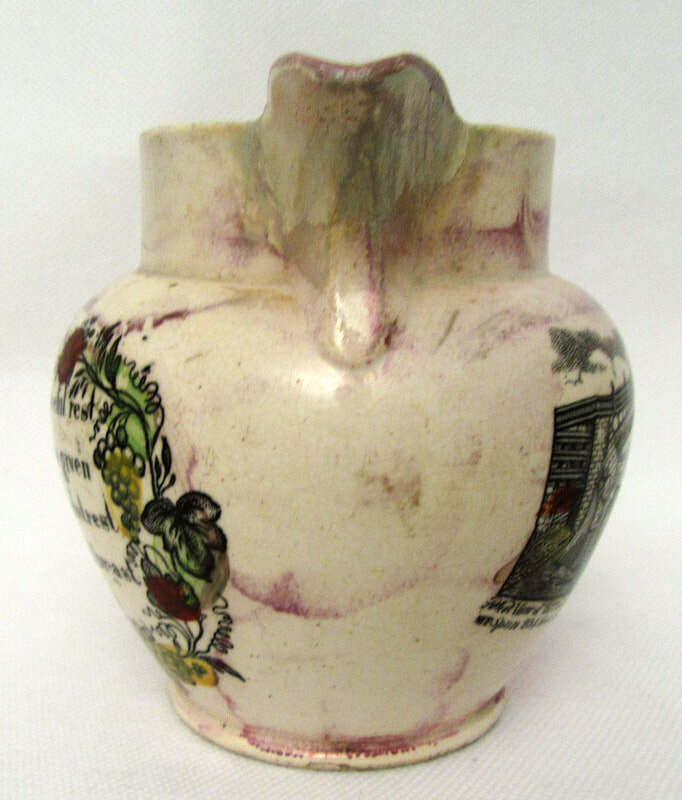 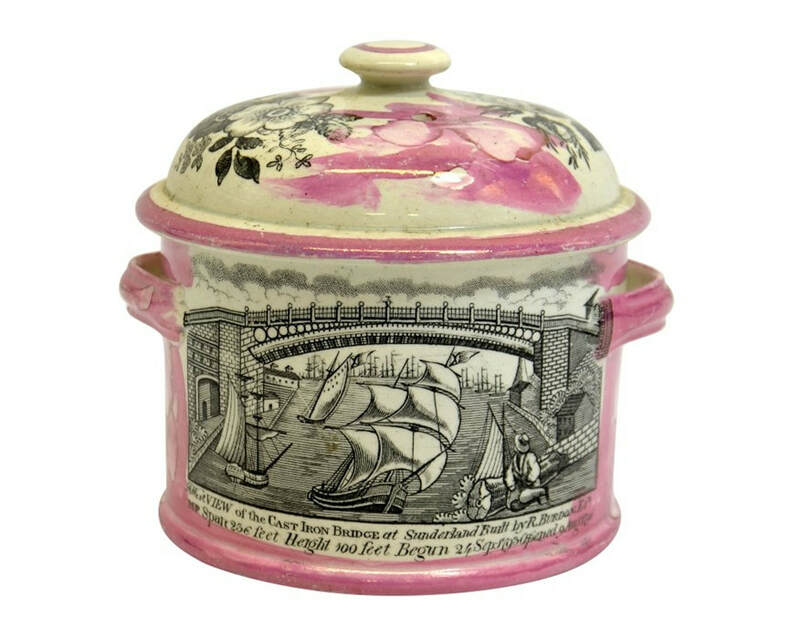 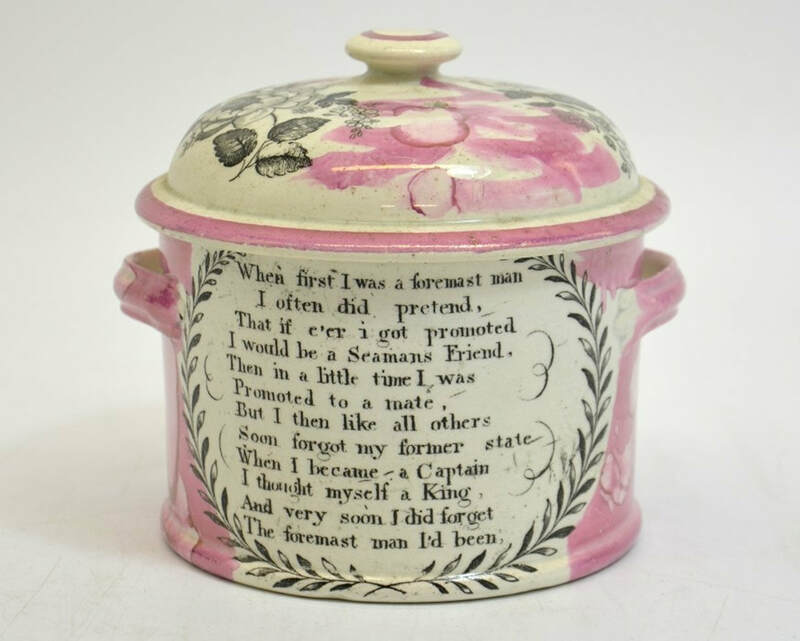 The eel pot with floral lid is similar to those produced by the Garrison Pottery, although I haven't seen this particular flower transfer before. 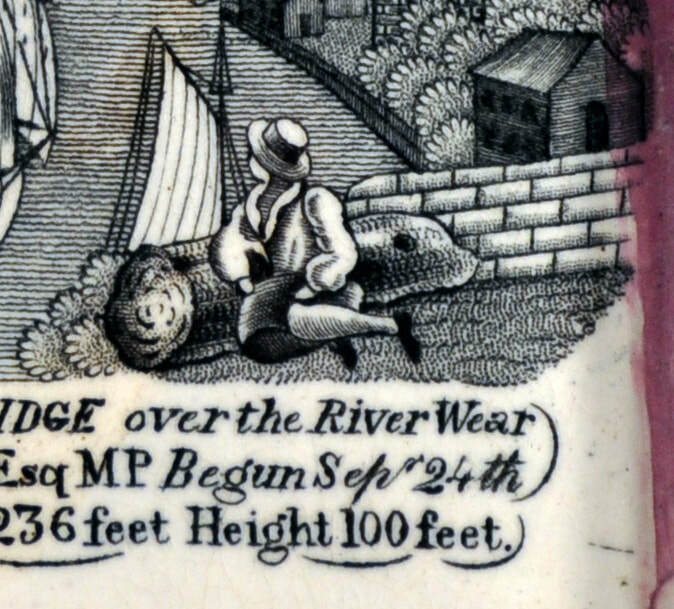 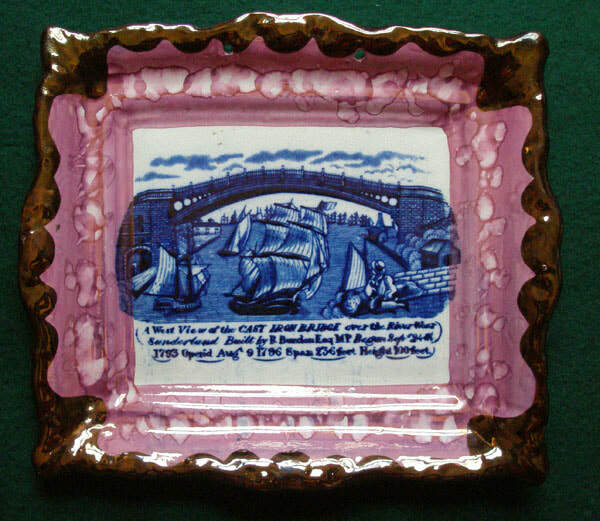 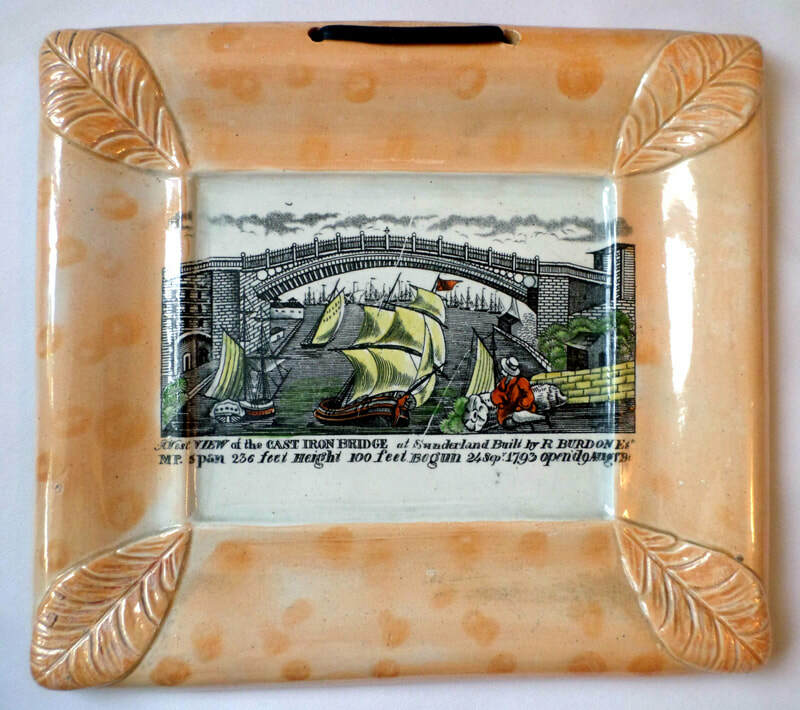 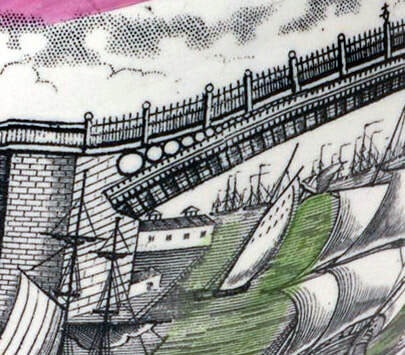 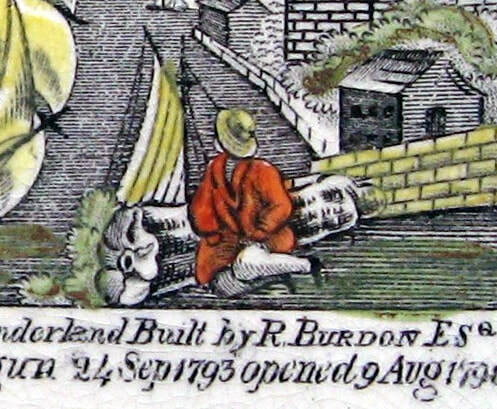 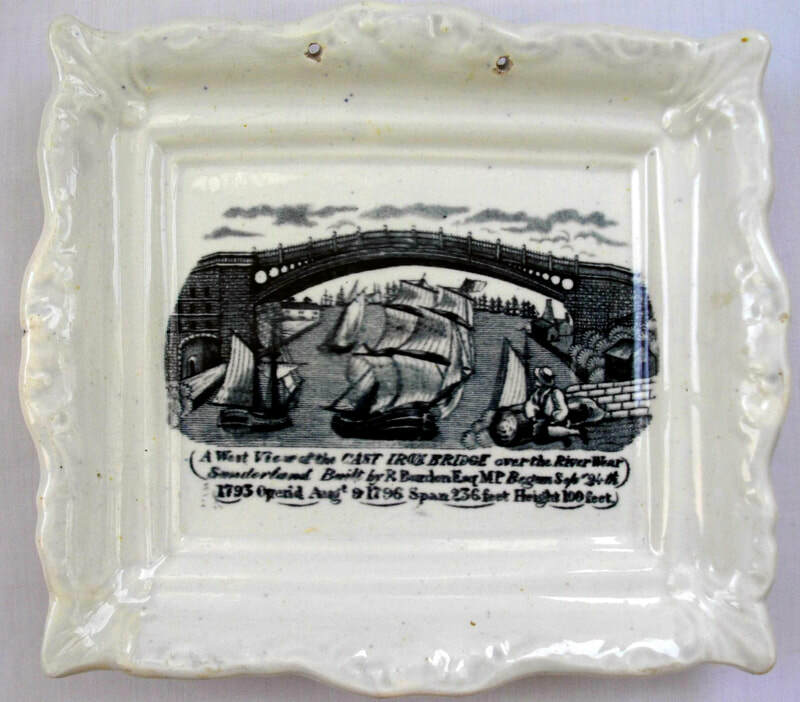 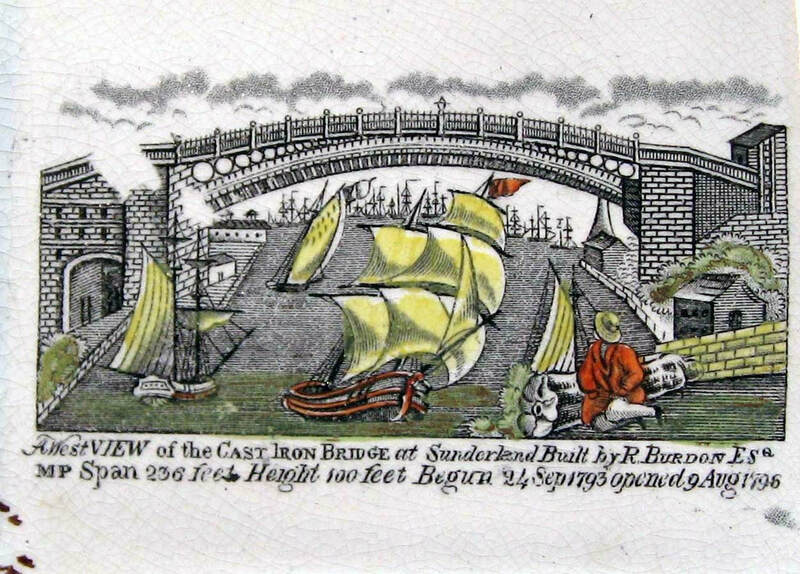 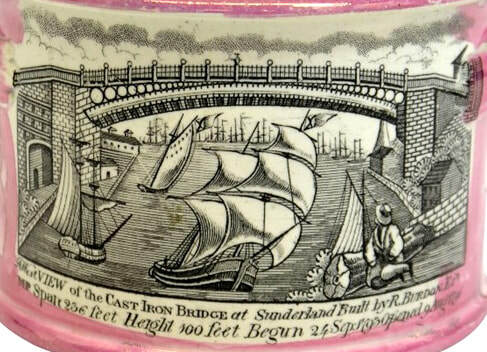 This is the version of the bridge transfer that appears in Baker as bridge 9, with the heading 'possibly Sunderland ('Garrison') Pottery'. 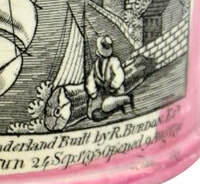 The other transfers on the items are shown below. 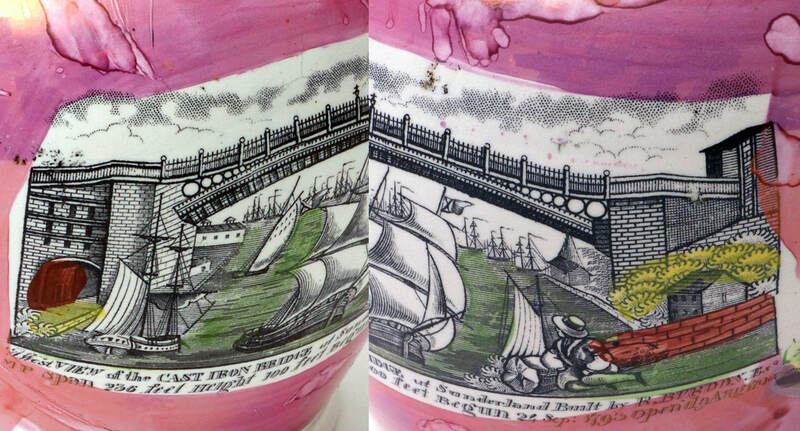 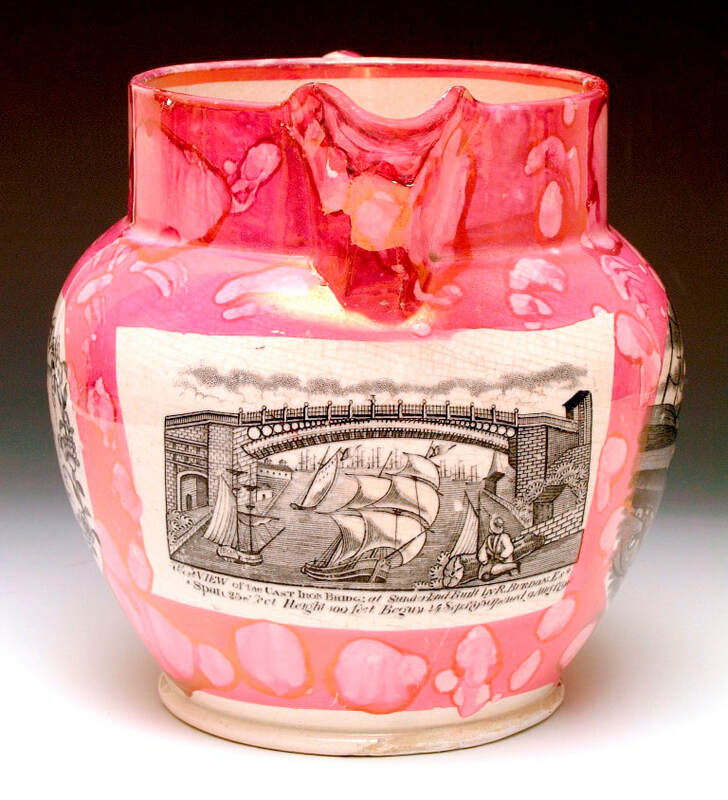 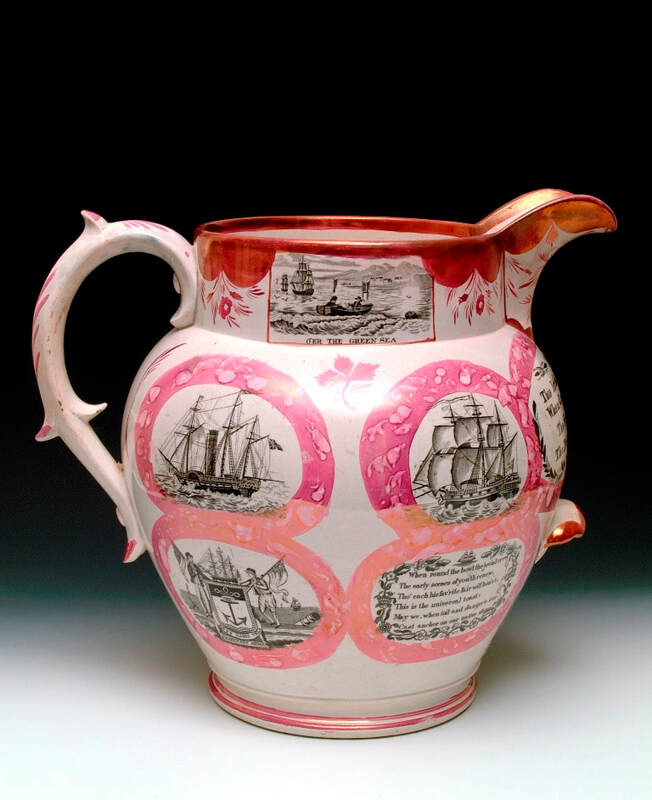 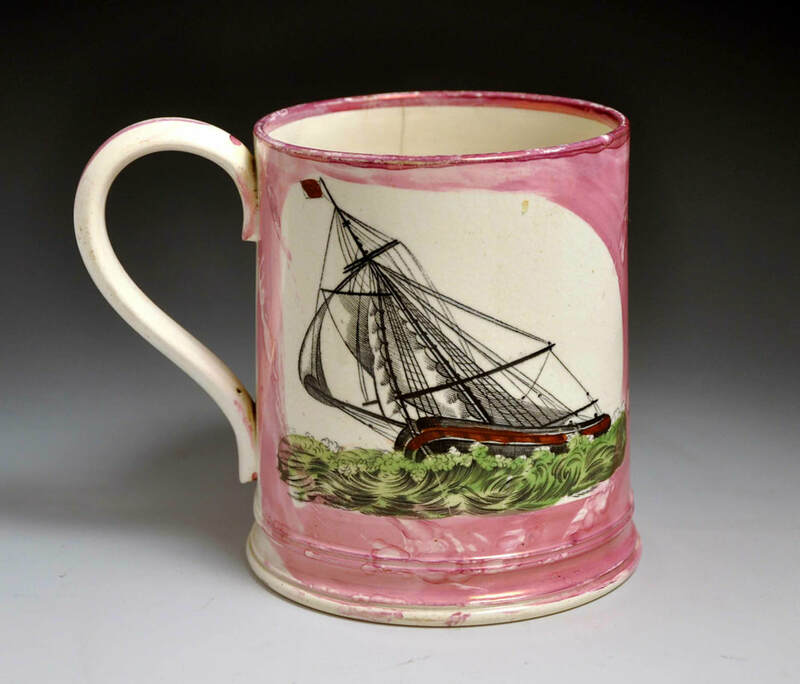 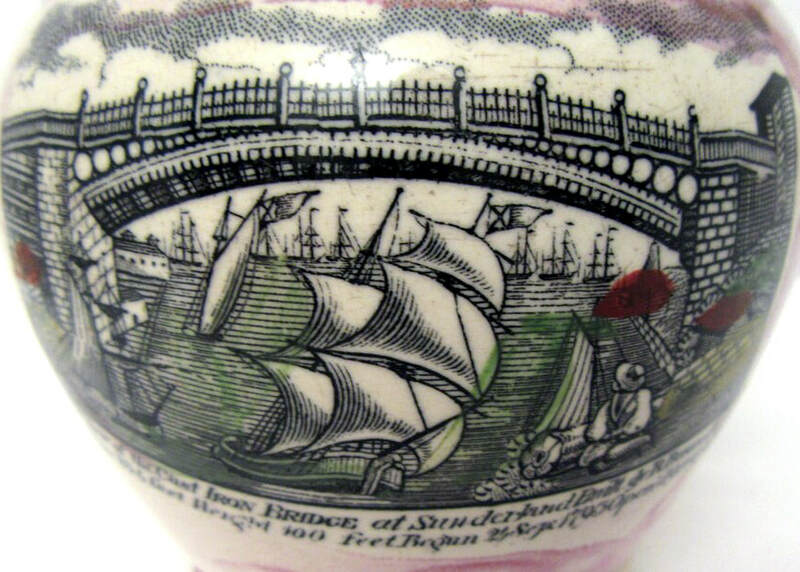 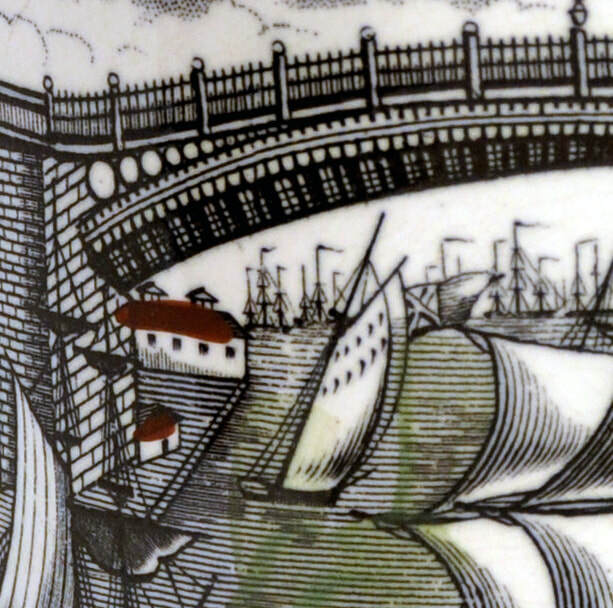 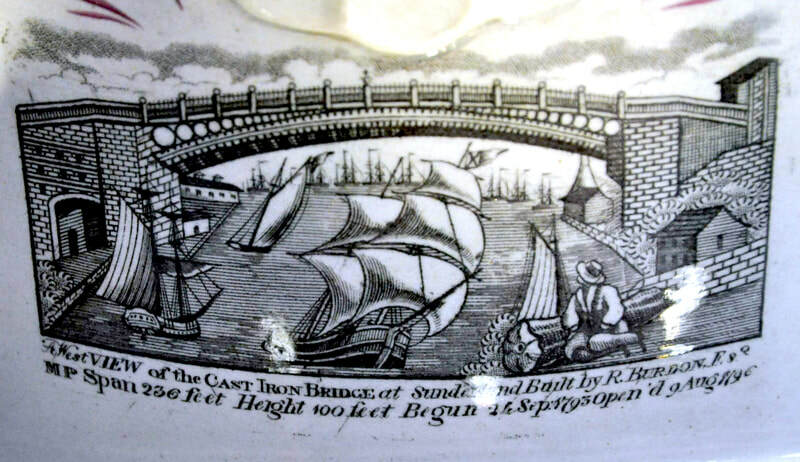 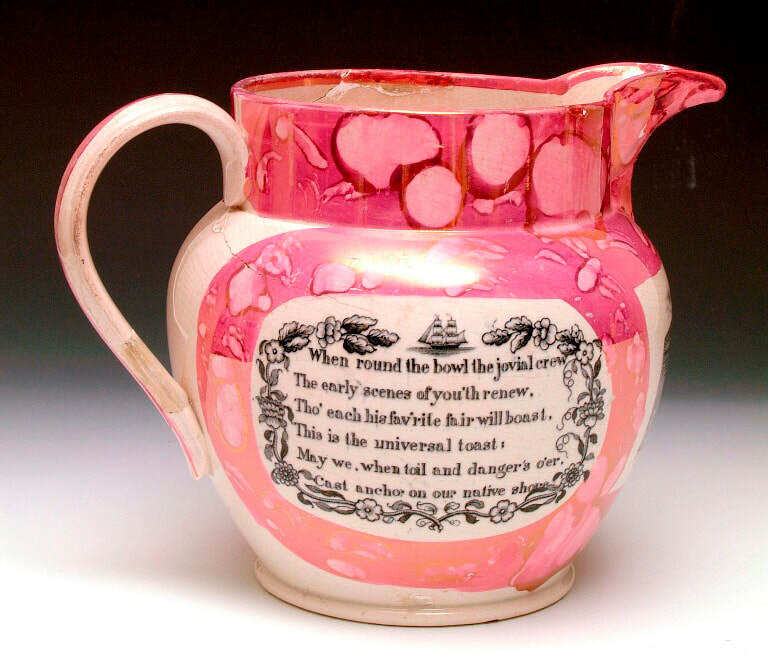 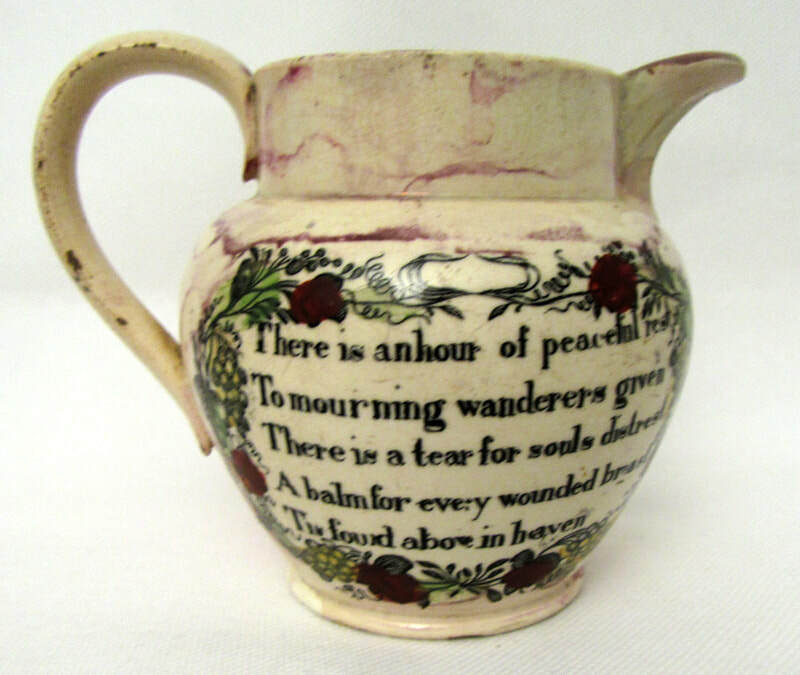 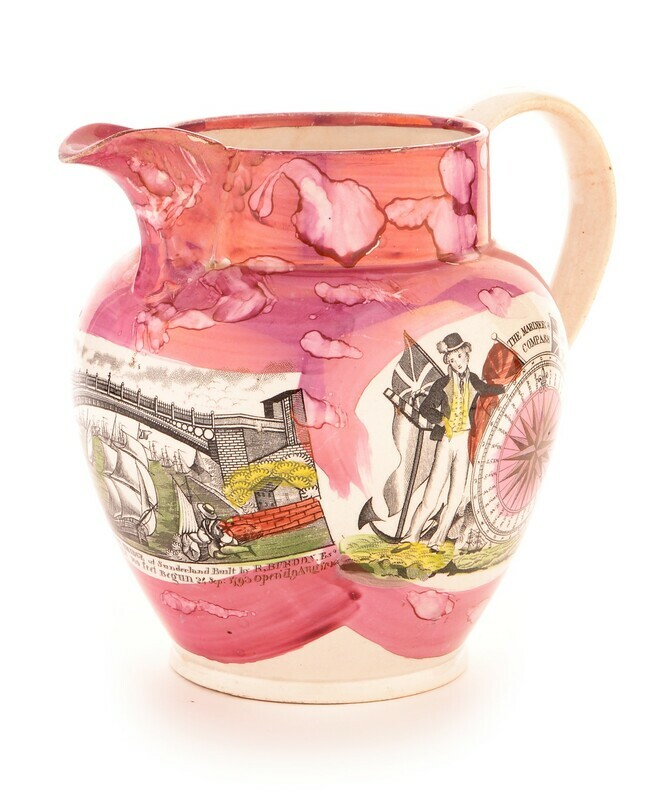 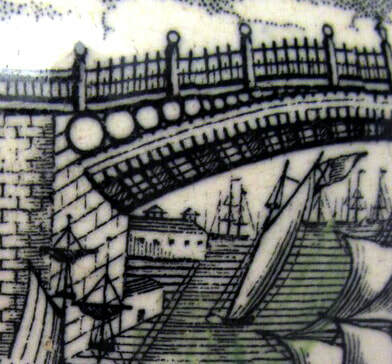 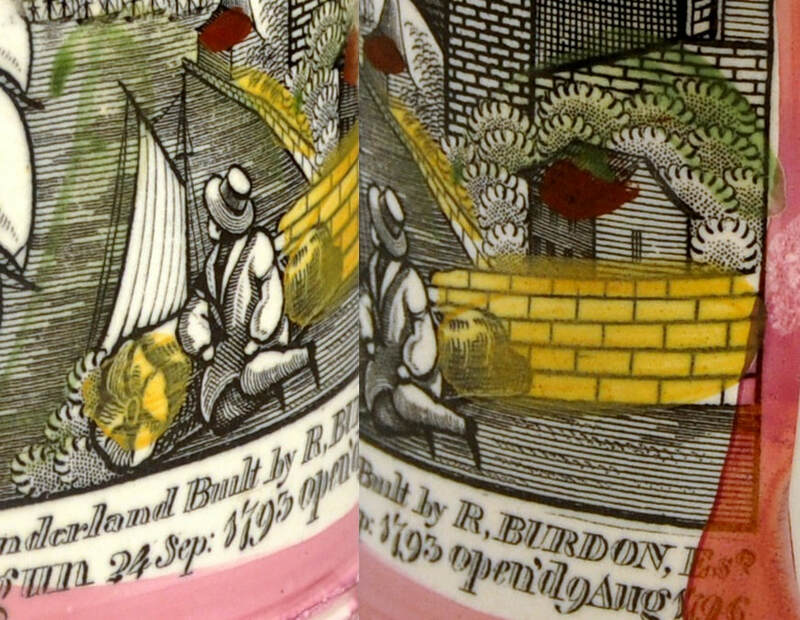 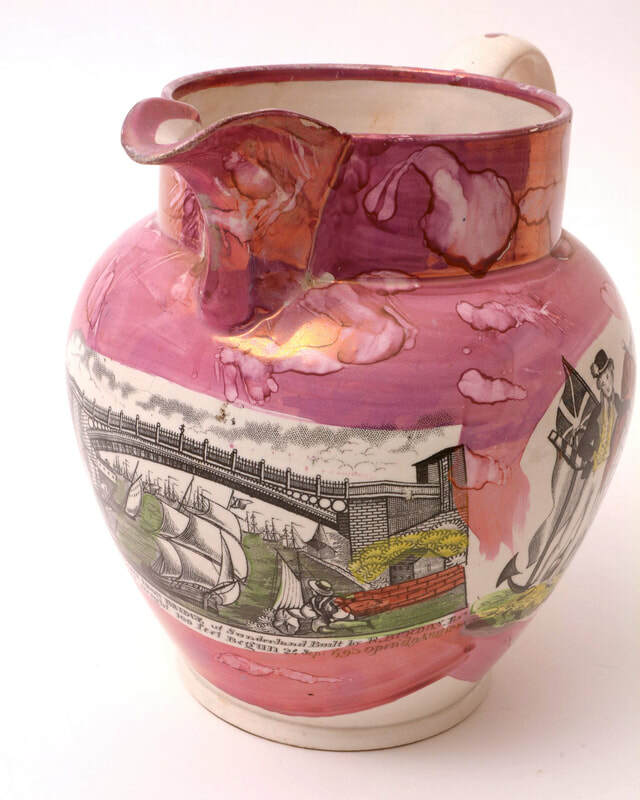 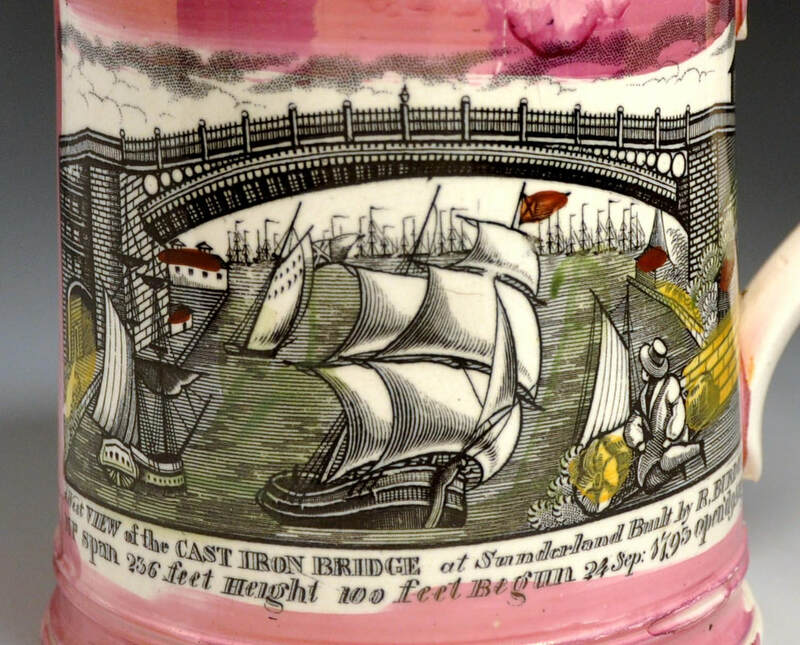 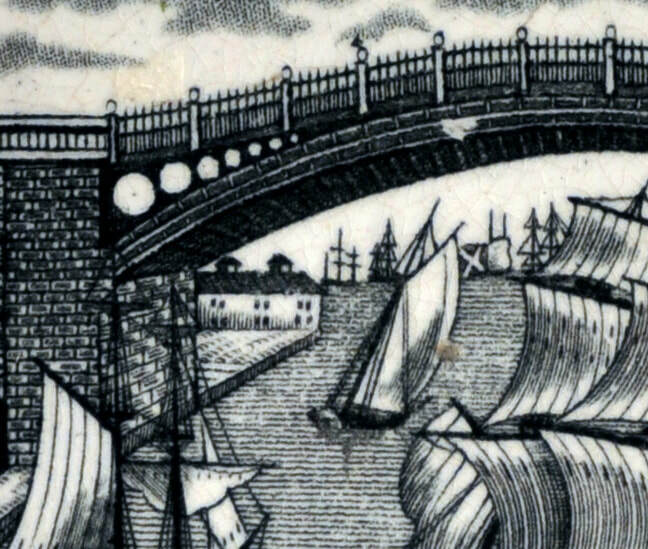 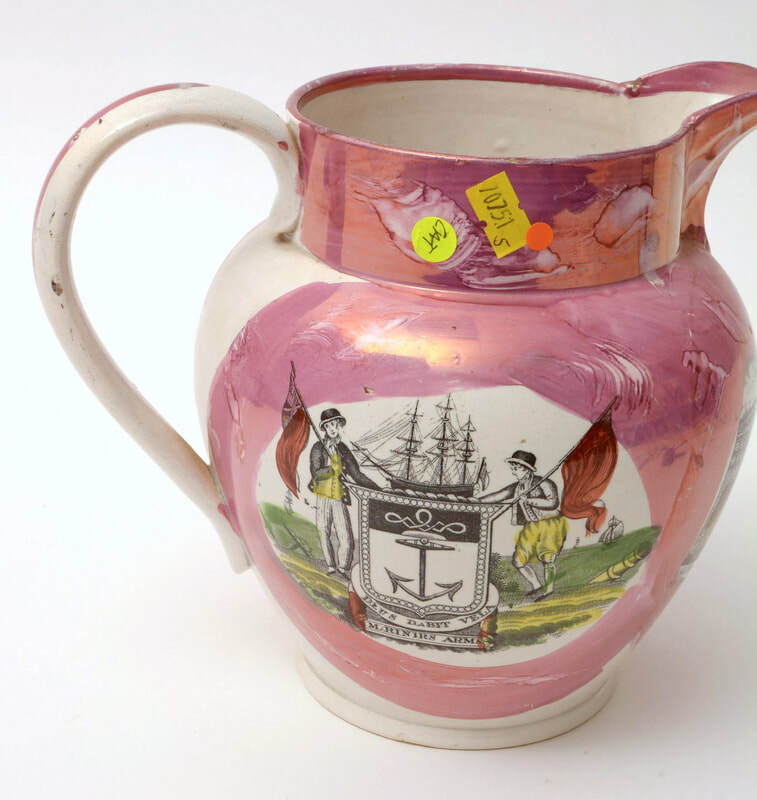 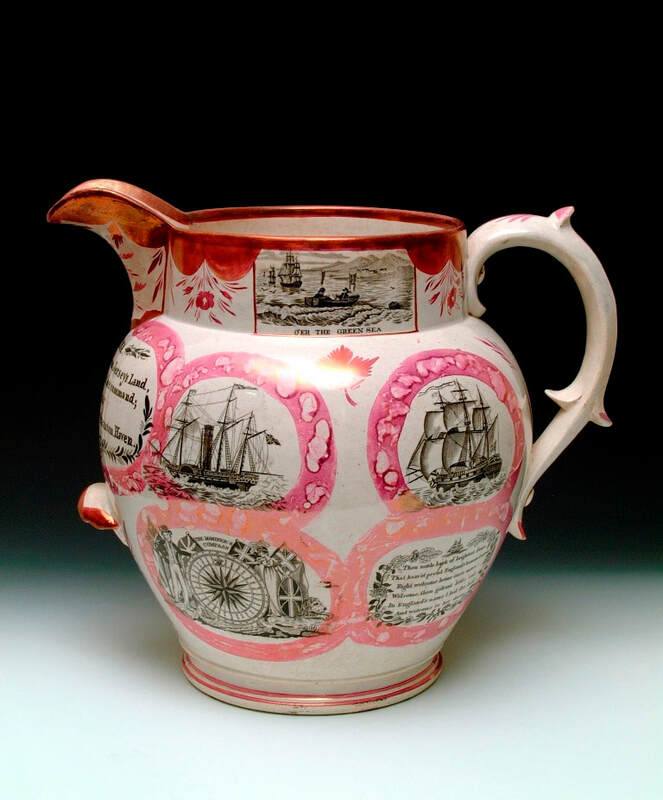 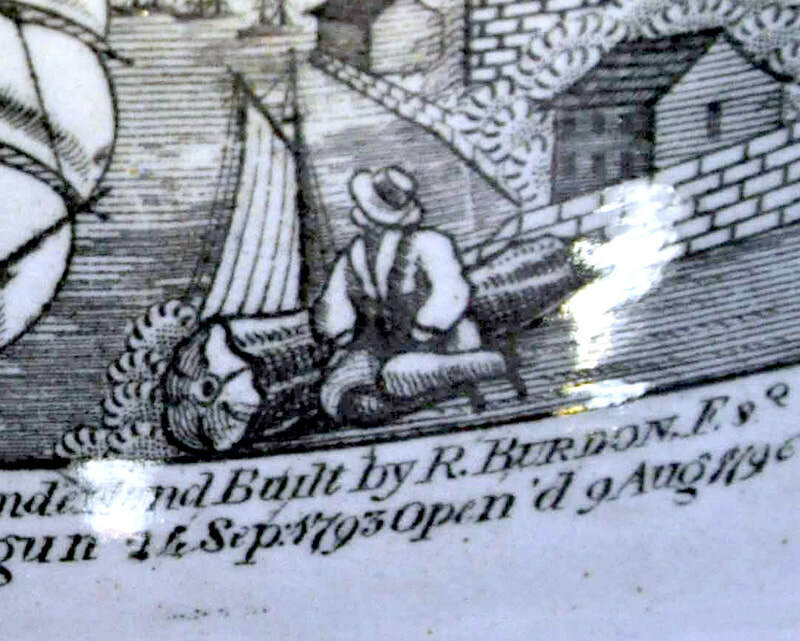 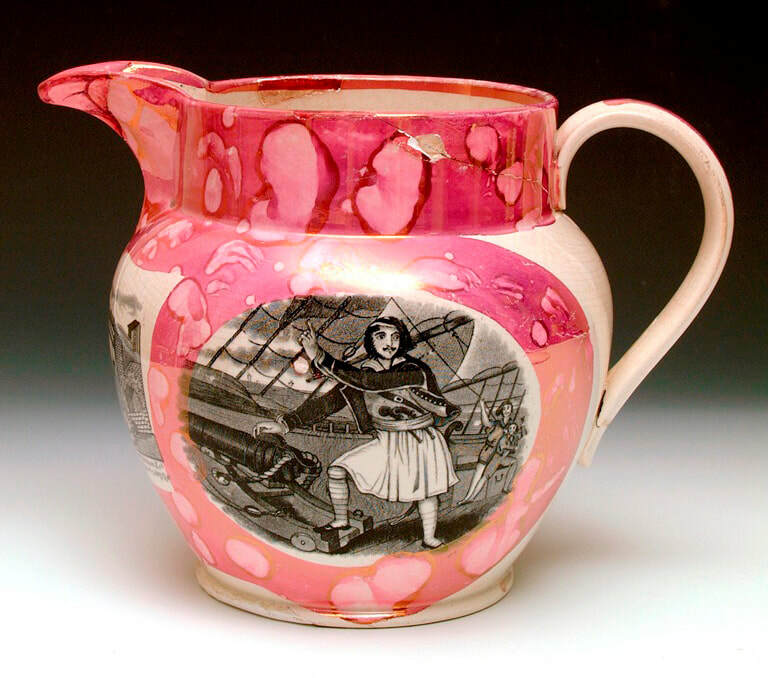 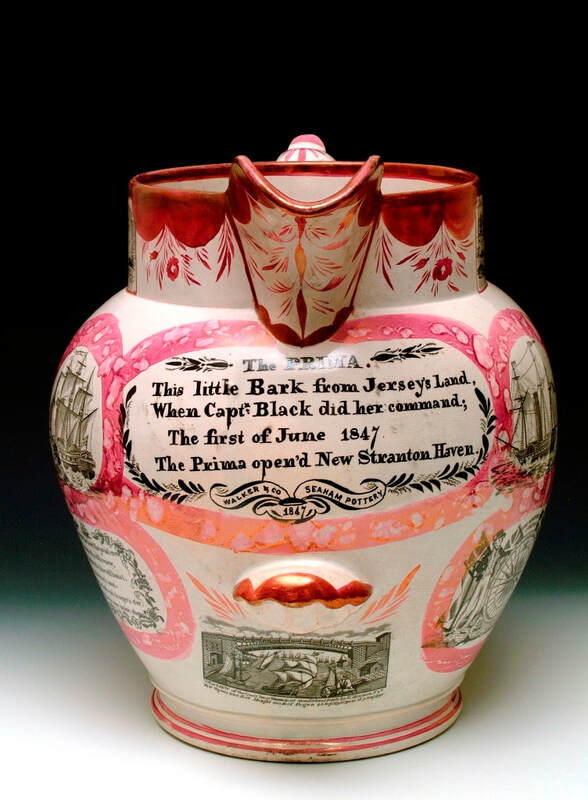 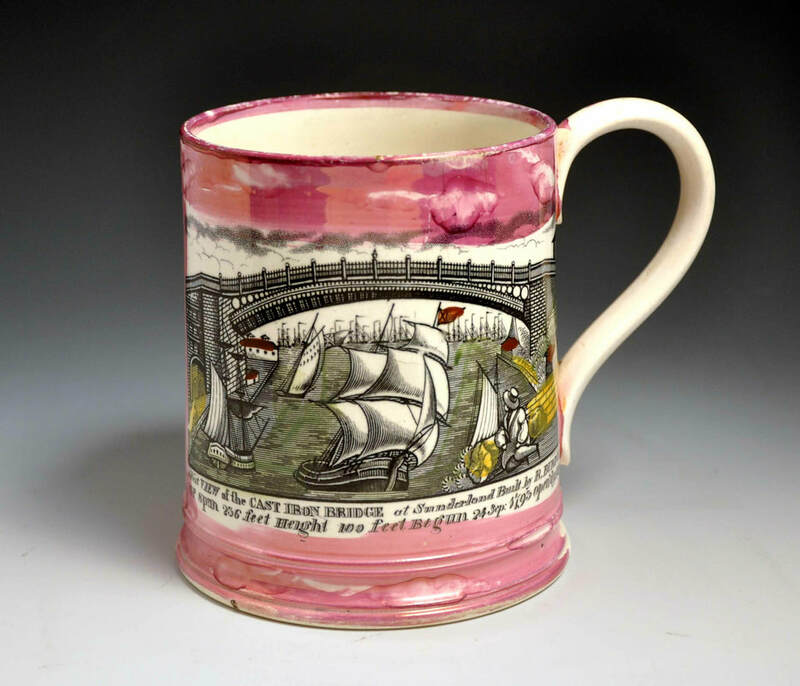 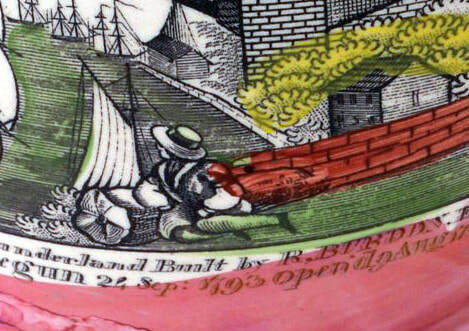 This transfer is on the Seaham jug in the Sunderland Museum, which has a painted factory mark 'Walker & Co, Seaham Pottery 1847' (click images to enlarge). 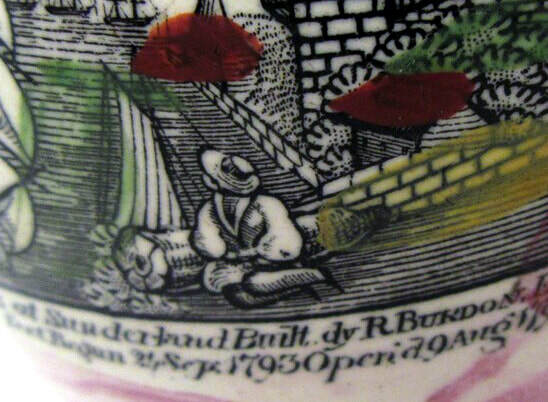 This appears to be a smaller version of the transfer above. 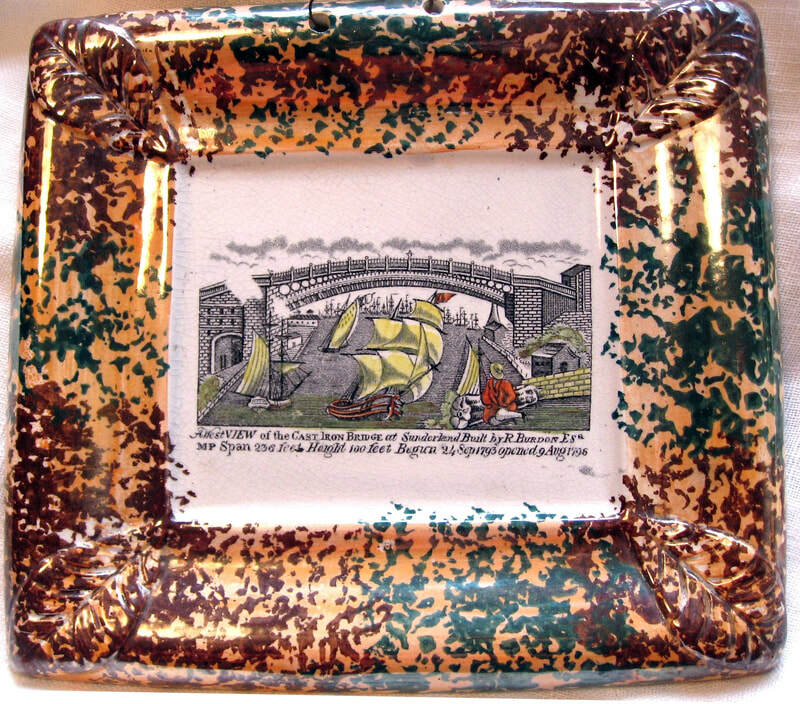 A very similar version to the transfer above, but on close inspection, from a different copper plate. 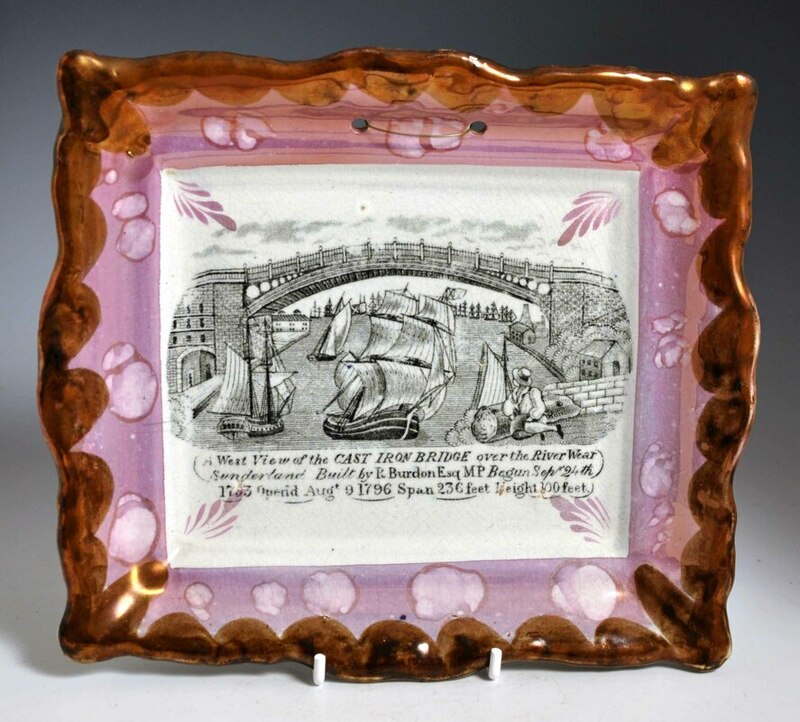 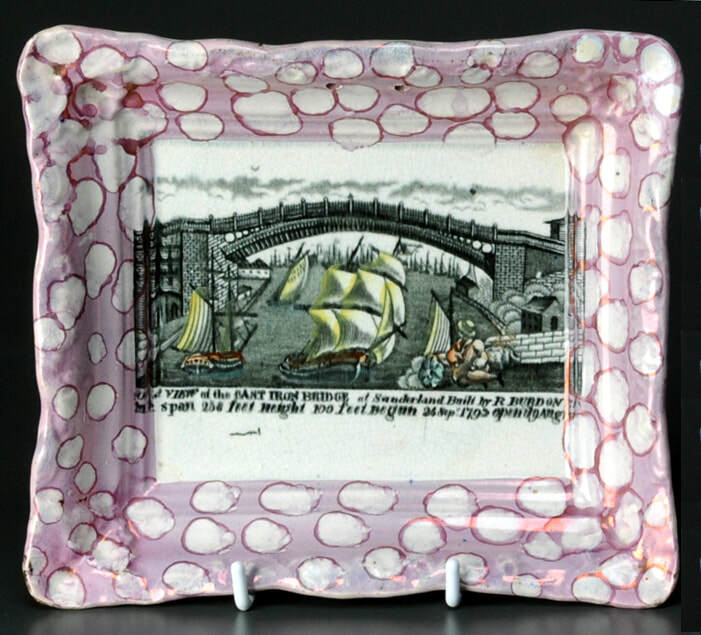 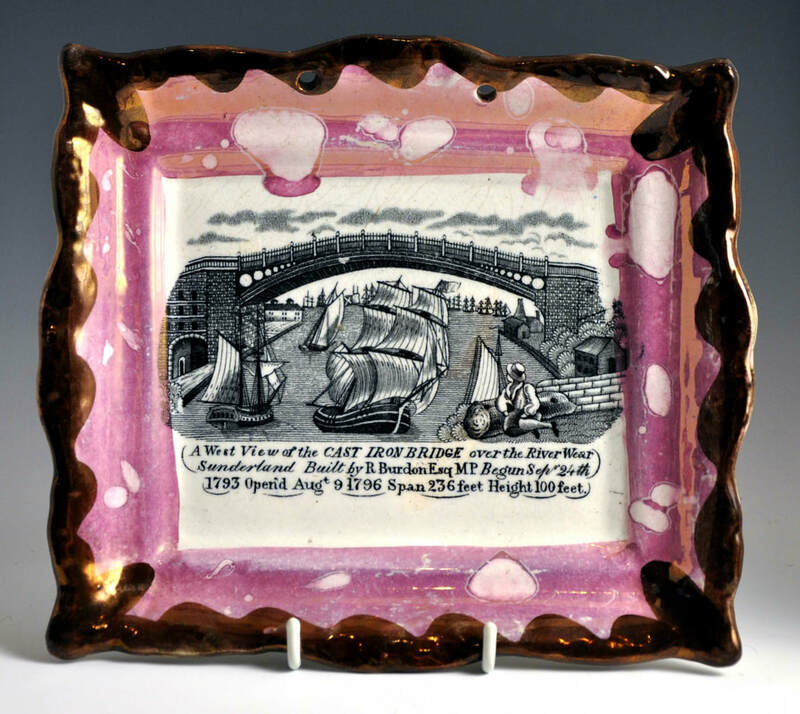 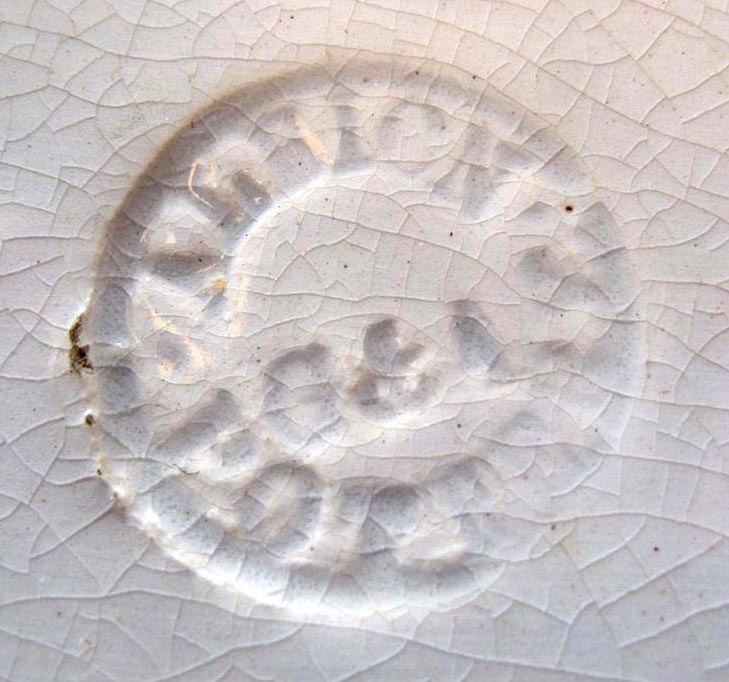 Galloway & Atkinson made some unusual plaques in their short-lived partnership at the Albion Pottery, c1864. 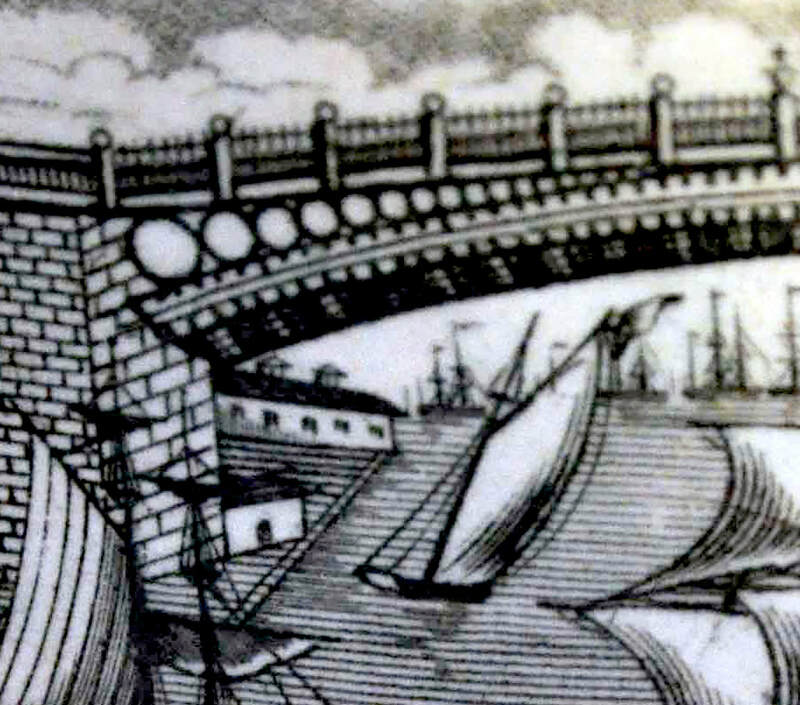 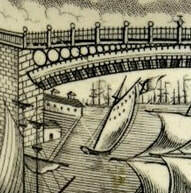 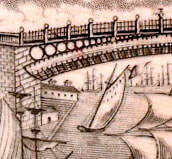 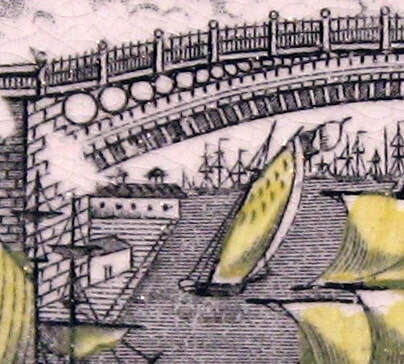 In the Tyne versions of the transfer, the ship in the centre has a triangular foresail. 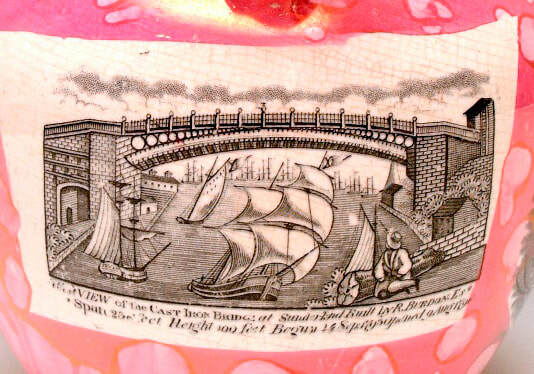 The North Shields version of the transfer has three lines of text underneath the image.